RRT owner Joe White grew up with the Scouts. His father used the Scouting program to teach them character and discipline. 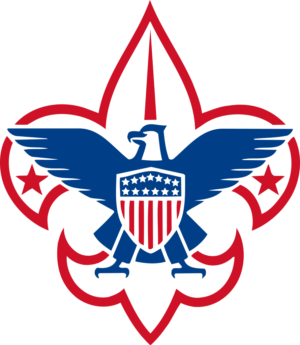 Joe would reach the highest ranking of Eagle Scout. With Scouting, Philmont trips, and a 150 acre backyard, Joe was glued to the outdoors. He joined a High Adventure trip to Alaska just after High School, and then landed a summer job guiding trips for the High Adventure Base. For 6 summers, he enjoyed backpacking, canoeing, sea kayaking, and road tripping all over Alaska while leading Scout programs. We understand how important the Scouts are and we also understand the financial burden of any extracurricular on a family. That is why we immediately implemented a Scout discount. We also immediately started reaching out to local Boy Scout troops and hosting presentations, demonstrations, pack shakedowns, and merit badges. RRT wanted to reach out and assure that the troops had the information and resources they would need. Joe and Bryan have taught at the University of Scouting since 2012, hosting up to six classes to prepare leaders of all levels. RRT has also had a presence at Peterloon since 2012, teaching through survival games and giveaways. Looking for more ways to help financially, we started two new programs in 2012: the 10+5 Program as well as a boot trade in program. The 10+5 program offers registered troops an automatic same-day 10% discount, but also creates a troop account to cut back on additional expenses the troop has, there-in cutting back on the additional financial burden on families. RRT takes an additional 5% of all troop purchases and creates a spending account for the troop use. Successful troops have cashed in on new stoves, filters, and tents at no expense to the troop.